Oracle Database technology is used by the world’s leading companies to manage critical business functions, systems and processes. Oracle Database is the number one database in the world. Over 305,000 top companies trust their critical systems to Oracle Database. Oracle Database is the number one embedded database technology. With the 12c release, Oracle Database is re-engineered for Cloud computing. Multitenant architecture brings enterprises unprecedented hardware and software efficiencies, performance and manageability benefits, and fast and efficient Cloud provisioning. 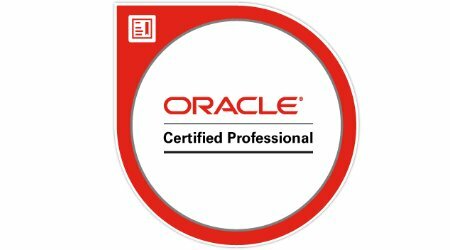 Oracle Database 12c certifications emphasize the full set of skills that DBAs need in today’s competitive marketplace. * denotes a course subsidised by the Human Resource Development Authority. VAT is applied on the amount before subsidy.